A visit from a bailiff or an enforcement officer can be a very frightening and distressing experience. This guide explains what a bailiff or enforcement officer can and cannot do if they visit your home and what your rights are. It provides general information only. If you have a question about bailiffs that isn't answered here, just click to chat online and one of our advisors will be able to help. What debts does a Bailiff collect? What can I do when a Bailiff is coming to my house? Can anyone be a Bailiff? What legal authority does a Bailiff have? How do I know if it is a Bailiff at my door? What time can a Bailiff visit? Do Bailiffs work at the weekend? How many times can a Bailiff visit? Will I get advance notice of a Bailiff visit? Can a Bailiff enter my house without permission? What happens when a bailiff enters my home? Can I be arrested for not letting a Bailiff into my house? What is a Bailiff NOT allowed to take? What if the Bailiff takes goods that are not mine? Can I hide things from a Bailiff? How much can a Bailiff charge in fees? How do I pay a Bailiff? Do I have to pay Bailiff fees? How can I stop a Bailiff from coming? Can a Bailiff refuse a payment plan? What is a Walking Possession Agreement? If you are worried about Bailiffs coming to your door, then it is likely you need some sort of help or advice in regard to your debts. Get in touch with us if you would like to speak to a Debt Advisor about your debts. A Bailiff or enforcement agent is someone who is authorised to remove and sell your possessions in order to pay money owed to a person or organisation i.e. to a creditor (A creditor is someone you owe money to). In some cases they may also have the authority to conduct evictions and to arrest you. If a Bailiff is coming to your home, then they are most likely trying to reclaim money on behalf of a creditor. They can reclaim money by seizing goods from your home in order to sell them. Before a creditor can send a Bailiff, they must notify you in writing that they intend on sending a Bailiff. If you have received a letter warning you of Bailiff action, then you should not ignore it. Speak to the creditor involved or if you're worried speak to a qualified debt advisor and find out what you can do to try and resolve the debt owed and prevent a Bailiff visiting. If you ignore the letter, then it is most likely that you can expect a Bailiff visit. If you recieve a Notice of Enforcement, this signals that a Bailiff will be visiting your home or premises. You must have more than a weeks notice prior to the visit. Never ignore a Bailiffs notice! Bailiffs charge fees which will accrue as soon as they start acting on a creditors behalf which will onlly add to your outstanding debt. There are different types of bailiff (outlined below). County court bailiffs are employed by the county courts and they enforce county court orders by recovering money owed under a county court judgement. They can seize and sell goods to recover the amount of the debt. They can also take possession of property and supervise the return of goods under hire purchase agreements and they can serve court documents. Enforcement officers are similar to county court bailiffs except that they deal with high court judgments or county court judgements transferred to the High Court. Certificated bailiffs enforce various debts on behalf of bodies such as local authorities, seizing and selling goods to recover the amount of the debt. They hold a certificate which enables them to levy distress for rent, road traffic debts, council tax and non-domestic rates. They cannot enforce the collection of debts due under High Court or county court orders. Non-certificated bailiffs can recover money owed for a variety of debts but cannot levy distress for rent, road traffic debts, council tax and non domestic rates and they cannot enforce the collection of money due under county court or High Court orders. Do not confuse a Bailiff with a Debt Collector. 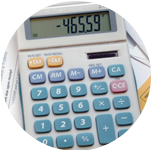 Debt Collectors are employed by private debt collection companies. They may call to your home but do not have any powers to levy distress. Debt Collection companies are NOT certified by the Court to act as bailiffs. They may only discuss your debts owed and how you plan to repay them. They usually do this by phone or writing and usually threaten with court action if you do not agree a repayment plan. Different types of bailiffs have differing powers to collect debts. However, there are certain rules that apply to all bailiffs. Unless stated otherwise, this information applies to any bailiff. Unsecured Creditor debts (ie credit cards, loans) where a CCJ has been issued and ignored or not paid. Remember you do not have to let a bailiff into your premises, house or flat. There are steps you can take to prevent a Bailiff gaining entry. Do not open the door to a Bailiff. If you are unsure if they are a Bailiff, shout through the door and ask them to identify who they are. Make sure that all doors and windows are locked, so the bailiff will not be able to gain access to your home. If they cannot get in, they cannot lawfully seize goods. If you want to speak with a Bailiff, do it outdoors or speak from a window. Tell them to leave and that you will address the debts with your creditors. Your main priority should be to get the matter out of the hands of the bailiff and back to the county court, local authority or creditor. The next paragraph tells you how to do this. If the debt is an unpaid county court judgment you can apply to the court to stop (''suspend'') the warrant and vary the instalments you were ordered to pay by the court. You can apply to do this on form N245, available from the court. The form asks for details of your income and outgoings with a few personal details such as whether you work. You may have to pay a small fee at the court, unless you are getting income support, income-based jobseeker's allowance or tax credits and you may have to show proof that you are receiving these benefits. The fee can also be waived if you are on a low income and payment of the fee would involve undue financial hardship. Applications for a fee reduction or waiver are dealt with entirely on an individual basis according to circumstance and there are no precise guidelines about when a fee should or should not be reduced or waived. In either case you must complete Form Ex160 and send or take it to the court with the N245. If bailiffs are collecting unpaid council tax it is often difficult to negotiate instalment payments with the bailiff or the local authority until the warrant is returned or withdrawn from the bailiff. However, you should try to negotiate instalment payments with the local authority and encourage them to withdraw the warrant from the bailiff. It is important to make clear that although you are unwilling to let the bailiff in, you are willing to make instalment payments at a rate that you can afford. If you need help filling in forms or negotiating with creditors or bailiffs. Any man or woman can be a bailiff, providing they have legal authority to carry out their actions. Some creditors prefer to use certificated bailiffs to collect their debts. ''Certificated'' means that the firm of bailiffs has provided references to the county court and these bailiffs are then employed by the court and are considered to be 'fit and proper' persons. Bailiffs collecting rent arrears and road traffic penalties must be certificated. What 'legal authority' does a bailiff have? A bailiff must be legally authorised to collect the debt on behalf of the creditor. The authority is normally known as a 'warrant', or 'warrant of execution' if the bailiff is recovering money owed under a county court judgement. Bailiffs used by the magistrates court to collect unpaid council tax, outstanding fines, compensation or unpaid maintenance will be acting on either a 'distress warrant' or a 'liability order' issued by the magistrates court. If you are in arrears, creditors will sometimes send representatives to your home to try and negotiate repayments with you. These people might be called 'counsellors', 'collectors' or 'advisers'. They do not have powers to enter your home and seize your goods. Bailiffs should provide identification or authorisation if you ask them to. Bailiffs collecting for rent must show their certificate from the county court if you ask them to. Bailiffs collecting unpaid council tax must show written authorisation from the local authority. From 1 April 1998, local authorities must send you a letter giving fourteen days notice of a proposed bailiff visit to collect council tax. County court bailiffs must issue a warning notice allowing seven days for you to pay. If your belongings of value are at a premises that trades outside the hours of 6am to 9pm, at a business premises for example, then the Bailiff can visit during this time. If a Bailiff is in the process of seizing your belongings within the hours of 6am - 9pm but they have not finished before the allocated time, then they may stay and complete the seizures on this occasion. It also recommends that enforcement should only be carried out between the hours of 6.00 a.m. and 9.00 p.m. or at any time during trading hours and that existing legislation must be observed with enforcement agents being respectful of the religion and culture of others at all times. They should be aware of the dates of religious festivals and carefully consider the appropriateness of undertaking enforcement on any day of religious or cultural observance or during any major religious or cultural festival. A bailiff may call a number of times to try and gain entry. Eventually they will return the warrant to the court or local authority if they are unable to gain entry, or you do not have enough goods to pay off the debt and fees. If they do not get a response from you, it is possible that they may levy on a car at your property. If you cannot pay the Bailiff, you can apply to the court on an N245 to have the warrant suspended and offer to make affordable monthly payments. County court Bailiffs are usually reasonable. The only way to stop the visits is to arrange some sort of agreement for the debt outstanding. A bailiff must give atleast 7 days notice in writing prior to their first visit. Most bailiffs do not have the right to force their way into a domestic property, i.e. a flat or a house, to seize your goods. The only exception is that bailiffs collecting unpaid criminal fines, Tax or Stamp Duty can get a warrant to force entry, but this is very rare and usually considered as a last resort. All other bailiffs have a right of peaceful entry only. This means that they cannot use force to enter your home, for example, by breaking a window or a door. They are not allowed to force past you if you open the door, or enter your home by any other means than the door. They cannot enter your home if only children under 16 or vulnerable people are present. They can enter your property through an open door (front and back) and can climb over fences and gates, but cannot break them down. You do not have to let a bailiff into your house. If all your doors and windows are securely closed they will not be able to gain peaceful entry to your house unless you let them in. Bailiffs are well aware of their limited powers and may use a variety of different means to gain entry peaceably. They may attempt to walk in as soon as a door is opened. They may ask if they can use your telephone to check if an arrangement is satisfactory with their office. They may simply ask you if you would prefer to discuss matters inside. You do not have to go along with any of these methods. Once they have gained entry to your home, a bailiff will usually try to find and seize any goods of value belonging to you or the person that is named on the warrant. Once in the house the bailiff has the right to go into all rooms and can break open any locked door or cupboard inside your house. If the bailiff gains peaceful entry once, they have the right to call again and enter even without your permission, i.e. they can break in and remove your goods on any subsequent visits. Any attempt to remove a bailiff from your property once they have gained peaceful entry is assault and you could be taken to court for it. Once in the house, a bailiff will attempt to seize your goods in order to sell them off at public auction to raise money to pay the debt that you owe. The bailiff will make clear an intention to seize various items, either verbally, or by attaching a mark to them, or by touching them. This is sometimes called ‘levying distress or distraining upon goods’. Once the bailiff has seized goods, they have a number of options. They can either remove items they have seized immediately from the property to be stored and eventually sold at public auction. Alternatively, they can leave someone on the premises to guard the items that have been seized or, in the case of bailiffs collecting rent, secure items that have been seized in your home. These last two options are very rarely used. The most likely outcome is that the bailiff will ask you to sign a 'walking possession agreement'. See What is a Walking Possession Agreement? No. If a bailiff is accompanied by the police, they are only there to prevent a breach of the peace. You cannot be arrested for refusing to allow a bailiff into your home. You cannot go to prison for not paying your debts. However, non-payment of council tax, child maintenance or magistrates court fines can lead to imprisonment if you 'wilfully refuse' to pay. This means that the magistrates must be satisfied that you have the money but choose not to pay. You should be required to attend a magistrates court ‘means enquiry hearing’ before this is decided. This gives you the chance to explain why you have not paid. What goods can a Bailiif take? Bailiffs can take almost anything from your home or work premises that is of value and that belongs to you, such as luxury items like TV's, consoles... They can even take jointly owned goods (with some exceptions), although they are not entitled to your partners share of the goods when they are sold. There are some specific things that a Bailiff is NOT allowed to take which is outlined below. work tools, goods, and other items of equipment necessary for use by you in your employment, business or vocation that are worth no more than £1,350. clothing, bedding, furniture, household equipment (cookers, fridges, etc) and provisions that are necessary for satisfying the basic domestic needs of you and your family. Goods that belong to someone else. You will have to prove that someone elses goods do not belong to you. Goods that are out on Hire Purchase or on rental agreement. What if the bailiff seizes goods that do not belong to me? It is not unlawful for you to remove goods or hide them before a bailiff visits your home unless the bailiff is distraining for rent. Remember that a bailiff, having gained peaceful entry, can return at any time and if they believe that goods have been removed or hidden prior to their visit, this is likely to happen. A Bailiff can charge a fixed fee for each stage of the process in dealing with you / your debts. If you owe over £1,500 they can also charge a percentage fee on any money recovered for each visit they make. There are normally 3 stages in the Bailiff process. These are outlined below, along with their costs. The compliance stage is where you are informed of the debt outstanding and requesting payment/issuing an enforcement notice. The enforcement stage is when a Bailiff visits your home or work premises to take control of goods. The fee is only charged once. The sale stage is the removal and sale of the goods. You might be able to negotiate a payment plan with the Bailiff that will stop you losing any of your goods. You can offer to pay whatever you can afford in weekly or monthly instalments. You should be able to arrange everything over the phone or if not, through a window or letterbox so as not to let the Bailiff in. If you give a Bailiff money, ask for a receipt. You cannot avoid paying Bailiff fees, but you can dispute them if you think they are incorrect or excessive. All bailiffs’ fees (with the exception of magistrates' court bailiffs) can be looked at by the county court to see if they are reasonable or excessive. This is known as 'detailed assessment'. If you think that the bailiff's fees are excessive or incorrect you should get further advice about this or dispute it. The court will usually have the final say on the matter. Dispute the debt if you don't think you owe it - You should aim to solve the dispute with the Bailiff and the creditor involved. Negotiate with the creditor - Ask them to stop the Bailiffs and come up with a suitable payment plan to repay the debt. Make sure you have a realistic payment plan that you can afford. Offer full payment to your creditor - If you can afford to pay the debt in full, then do it asap. You can offer it to your creditors straight away so you can avoid any hefty Bailiff fees. Contact a Debt Advisor - If you aren't sure what to do, it is worth chatting to a debt advisor to find out your options for dealing with a Bailiff or repaying your debts. Suspend Bailiff Action - If the debt in question is a CCJ or Court Judgement you can apply to the court to suspend Bailiff Action and offer to make repayments by instalments to address the debt. Negotiate with the Bailiff - You can try and offer the Bailiff some sort of payment which will stop them from taking your goods. Contact them as early as possible. A Bailiff does not always have to accept your offer of payment, even if it seems reasonable to you. This can be for a variety of reasons. They may have been instructed not to accept any offer of repayment. You could try negotiating with the creditor instead and ask them to stop the Bailiff action. If you have success with negotiating payments with the creditor, you will still have to pay any Bailiff charges. A walking possession agreement means that the goods that have been seized now legally belong to the bailiff and can be removed at any time. However, the bailiff may allow them to remain in your home and you can continue to use them providing you keep your side of the agreement, e.g. you make agreed payments. In order for a walking possession order to be valid, a bailiff should have gained peaceful entry to the property and seized the goods. It is not enough for a bailiff to list items that they have seen through a window and push a walking possession order through the letterbox for you to sign and return. You should never sign a walking possession order in these circumstances. There is a daily charge for a walking possession order that you must pay, on top of the original debt you owe if they are sold. Remember that goods will be sold at public auction and can sell for as little as perhaps 10% of their original value. This means that if you owe £50, a bailiff may try to seize goods to the value of at least £500. A bailiff must only seize goods that belong to the person who owes the money, although any goods in the house can be seized for distress or rent. In practice, many bailiffs will attempt to seize any goods of value at a house they visit and it will be up to the individual to prove ownership afterwards. If you have receipts showing someone else bought the goods then you should show these to the bailiff. If you would like to complain about a Bailiff you should first contact their firm in writing, detailing all aspects of your complaint. Ask them what their complaints process is and follow the steps they give you until you are satisfied that your complaint has been dealt with accordingly. You should also copy your complaint to the creditor involved as they are the ones responible for hiring the Bailiff and they should be made aware of everything that is going on in your case. In January 2012, the Ministry of Justice, following its review of bailiff law, published an updated version of its report National Standards for Enforcement Agents (NSEA). While the document is not legally binding it does set out what the Ministry of Justice regards as minimum standards, which it believes reflects the attitude of those in the industry and some major users. The NSEA is endorsed by a range of central and local government departments and the bailiffs' trade bodies, all of whose members should comply with it. Undertake a risk assessment prior to attending a debtor’s premises, where there have been previous acts of, or threats of violence by a debtor or where the enforcement agency requires it. There are no sanctions for non-compliance with NSEA but agents are required to operate complaints and disciplinary procedures. The NSEA document sets out its recommendations in relation to the minimum standards it expects to be applied in situations where vulnerable persons are exposed to enforcement processes. It also sets out standards in relation to the responsibilities of creditors to both enforcement agencies and to debtors, the training, certification, statutory and financial requirements for enforcement agencies and mandatory complaints procedures of enforcement agencies. To find out if McCambridge Duffy can help you regain control over your finances before matters are taken out of your hands, or to find out what kind of debt solution might be right for you, simply get in touch by filling in the form or call us on freephone 0800 043 3328.
" From the moment we contacted McCambride Duffy we were reassured by professional staff who knew what they were doing. If we had any questions or concerns, a quick phone call was all it took to sort things out. We are completely satisfied with the service we have received and would recommend Mccambridge Duffy to anyone who is having financial problems. " Client was paying over £920 per month to creditors. We were able to have this reduced to £350 per month, with all interest and charges frozen. 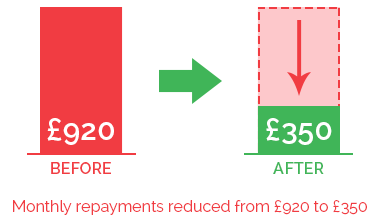 After 60 months of paying this reduced amount their solution was complete, their remaining debt was written off and they were free of their debts.